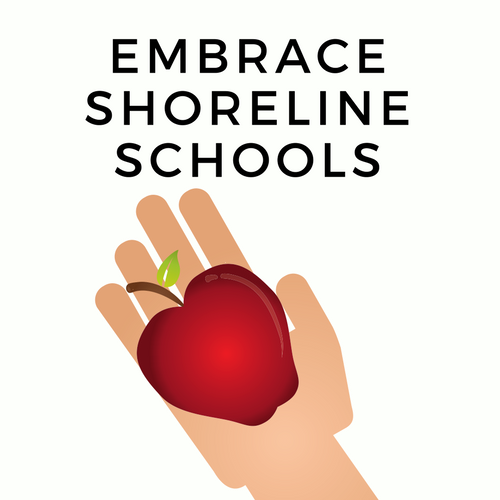 Embrace Shoreline Schools is a new community-driven group looking to support students and families in the Shoreline School District. For many students in our classrooms, access to seemingly mundane items can make a big difference between success and failure. Things like bus fare, tutoring, and essentials that many of us take for granted. School staff members are often dipping into their own pocket to fund these items. Their generosity is appreciated but it is obviously limited as to how many students they can help. For many of our Shoreline School District families there are barriers to getting the help they need. Language can be a barrier. The resources are available but accessed in a language they are not fluent in. Lack of access to Internet at home can prevent signing up for support. For many families the idea of asking for help from others is unusual or causes a feeling of embarrassment. Some families are reluctant to ask because they have had a bad experience with government or nonprofit support. Embrace Shoreline Schools is a community-driven effort to leverage existing resources within the community and making connections. ESS makes it possible to connect student needs to community donors while maintaining confidentiality. Individuals and organizations can donate to meet the need, trusting that the school staff has knowledge of the situation and that the need is legitimate. A local 501(c)(3) nonprofit, Kinder Konnection, is the fiduciary agent and will process Paypal payments and provide a tax receipt. The donor is also kept confidential. Relaying outcomes and successes is another important aspect of this community-building platform. The website will also provide the community with a wish list of school needs and a list of resources that families and neighbors can use to help themselves or others. Email Embrace Shoreline Schools for further information. ESS has a Facebook page.